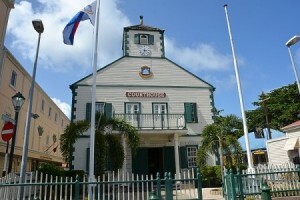 PHILLIPSBURG - The Court of First Instance of St. Maarten on Wednesday, September 14, 2016 acquitted the four suspects in the Masbangu investigation of all the charges of vote buying. The prosecutor’s Office had asked for a three (3) months jail sentence fully suspended, 200 hours of community service and deprivation of the to vote as well the right to be elected for R.H. (62). Against the suspects R.C.H.J. and A.R.W.M. the Prosecutor’s Office had asked for a jail sentence of three (3) months fully suspended, 150 hours of community service and deprivation of the right to vote while for C.J.L.C. the Prosecutor’s Office asked for a jail sentence of three (3) months fully suspended, 180 hours of community service and deprivation of the right to vote. The Prosecutor in charge of the Masbangu investigation is currently off island. Upon his return, a decision will be taken about a possible appeal against the court verdicts.